Dr. Simon’s research focus is understanding right ventricular (RV) adaptation and eventual failure in heart failure and pulmonary hypertension (PH) as a translational scientist. Dr. Simon’s labs focus on 1) advanced analysis of clinical hemodynamics, 2) integration of imaging and hemodynamics to better assess right ventricular function, and 3) early phase clinical trials in pulmonary hypertension and heart failure. His recent projects include a phase II study of inhaled nitrite for pulmonary hypertension (ClinicalTrials.gov NCT01431313), assessment of right ventricular-pulmonary arterial coupling in pulmonary hypertension patients and its relation to outcomes, right ventricular strain analysis by echocardiographic speckle tracking to screen a variety of patients for right ventricular dysfunction, assessment of right ventricular myocardial biaxial biomechanics in a murine model of pressure overload, and phenotyping a nonhuman primate model of HIV-associated pulmonary hypertension. He is involved with multiple clinical trials in pulmonary hypertension and heart failure with several leadership roles including 1) PI for the clinical core of a translational program project grant in pulmonary vascular disease (PI: Gladwin), 2) overseeing the Advanced Heart Failure and Cardiac Transplantation section’s clinical research portfolio of over 30 protocols with 3 full time clinical research coordinators, 3) director of the Montefiore University Hospital Clinical & Translational Research Center, a core lab in the University of Pittsburgh’s Clinical Translational Science Institute, which currently supports over 120 clinical research protocols for investigators. Dr. Simon has received research support from NIH, AHA, the Clinical Translational Science Institute of the University of Pittsburgh, and The Pittsburgh Foundation. 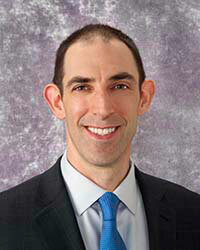 Dr. Simon is an Associate Professor of Medicine and an Attending Physician in the UPMC Heart and Vascular Institute's Advanced Heart Failure and Cardiac Transplantation Section and the UPMC Comprehensive Pulmonary Hypertension Program. He is also a member of Hereditary Hemorrhagic Telangiectasia (HHT) Center of Excellence of UPMC. His clinical interests focus on pulmonary arterial hypertension, pulmonary hypertension secondary to cardiac disease (most notably heart failure with preserved ejection fraction) and endstage heart failure. In particular, he has focused on right ventricular function in these diseases, for which he has written multiple book chapters and reviews. His clinical work ties in closely with his clinical research interests in early phase clinical trials and right ventricular function (see research interest). Dr. Simon's educational interests center around his research. He has mentored trainees at all levels from PhD postdoctoral trainees to postgraduate medical trainees to medical students to undergraduate students. He is an adjunct faculty member in the Department of Bioengineering and routinely mentors students in his lab. Vanderpool RR, Pinsky MR, Naeije R, Kosaraju V, Bunner C, Mathier MA, Lacomis J, Champion HC, Simon MA. RV-pulmonary arterial coupling predicts outcome in patients referred for pulmonary hypertension. Heart. 2015; 101: 37-43. Simon MA. Assessment and treatment of right ventricular failure. Nature Reviews Cardiology. 2013; 10: 204-218. Simon MA, Lacomis CD, George MP, Kessinger C, Weinman R, McMahon D, Gladwin MT, Champion HC, Morris A. Isolated Right Ventricular Dysfunction in Patients with Human Immunodeficiency Virus. Journal Of Cardiac Failure. 2014; 20(6): 414-421. Simon MA, Deible C, Mathier MA, Lacomis J, Goitein O, Shroff SG, Pinsky MR. Phenotyping the right ventricle in patients with pulmonary hypertension. Clinical and Translational Science. 2009; 2: 294-299. Nair PK, Kormos RL, Teuteberg JJ, Mathier MA, Bermudez CA, Toyoda Y, Dew MA, Simon MA. Pulsatile Left Ventricular Assist Device Support as a Bridge to Decision in Patients with End-Stage Heart Failure Complicated by Pulmonary Hypertension. J Heart Lung Transplant. 2010; 29: 201-208. Simon MA, Kliner D, Girod JP, Moguillansky D, Villanueva FS, Pacella JJ. Detection of Elevated Right Atrial Pressure Using a Simple Bedside Ultrasound Measure. Am Heart J. 2010; 159: 421-427. Bachman TN, Bursic JJ, Simon MA, Champion HC. A novel acquisition technique to utilize swan-ganz catheter data as a surrogate for high-fidelity micromanometry within the right ventricle and pulmonary circuit. Cardiovascular Engineering and Technology. 2013; 4(2): 183-191. Ryo K, Goda A, Onishi T, Delgado-Montero A, Tayal B, Champion HC, Simon MA, Mathier MA, Gladwin MT, Gorcsan J 3rd. Characterization of right ventricular remodeling in pulmonary hypertension associated with patient outcomes by 3-dimensional wall motion tracking echocardiography. Circ Cardiovasc Imaging. 2015; 8(6): e003176. Maron BA, Gladwin MT, Simon MA. Update in pulmonary vascular disease 2015. American Journal of Respiratory and Critical Care Medicine. 2016; 193(12): 1337-1344. Hill MR, Simon MA, Valdez-Jasso D, Zhang W, Champion HC, Sacks MS. Structural and Mechanical Adaptations of Right Ventricular Free Wall Myocardium to Pulmonary-Hypertension Induced Pressure Overload. Annals of Biomedical Engineering. Annals of Biomedical Engineering. 2014; 42(12): 2451-2465.